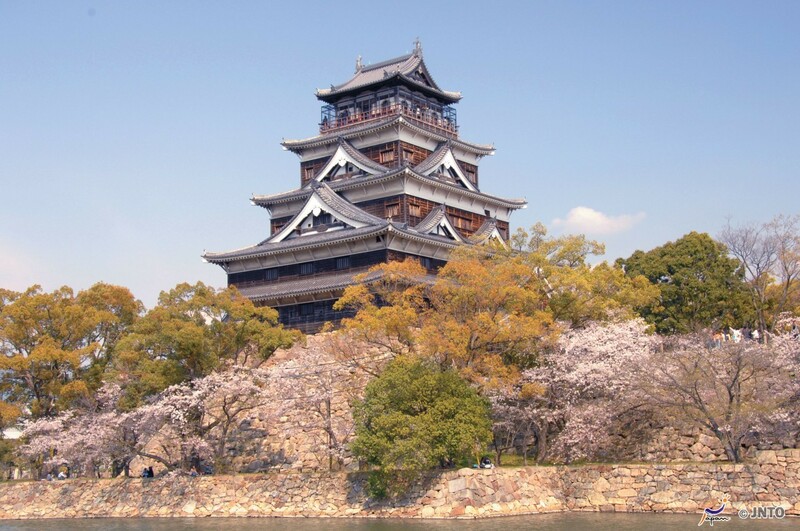 Hiroshima Castle, also called the Carp Castle, is a good example of a castle built on a plain in the center of a city as opposed to hilltop and mountaintop castles. 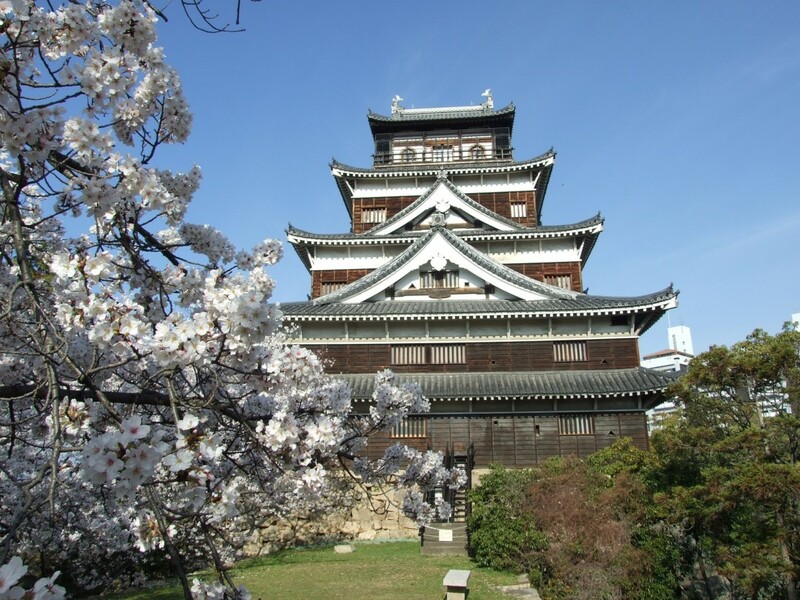 Its main keep is five stories tall, and its grounds are surrounded by a moat. 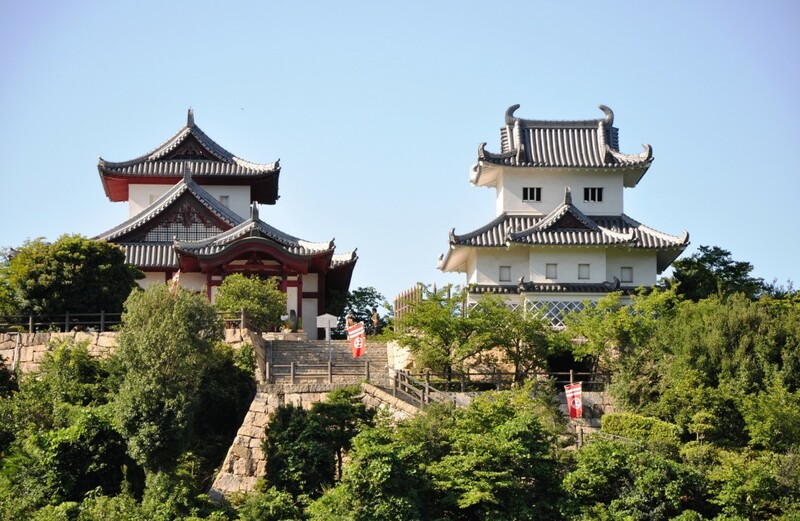 Also within the castle’s precincts are a shrine, some ruins and a few reconstructed buildings of the Ninomaru (second circle of defense). The main keep is typical of early concrete reconstructions, but the reconstructions around the main gate are very nicely done in wood and much more interesting. Take your time to walk around the Obikuruwa area behind the keep. 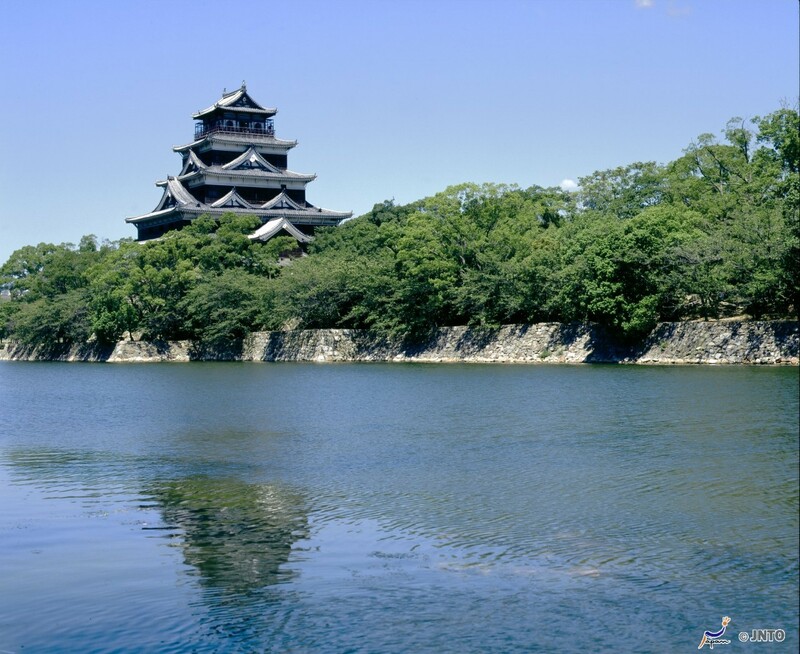 There are nice views of the moats and stone walls. Despite the fact that the main areas were very crowded the day, you might find yourself being the only one enjoying this quiet area of the castle.